Item # 316125 Stash Points: 2,495 (?) This is the number of points you get in The Zumiez Stash for purchasing this item. Stash points are redeemable for exclusive rewards only available to Zumiez Stash members. To redeem your points check out the rewards catalog on thestash.zumiez.com. 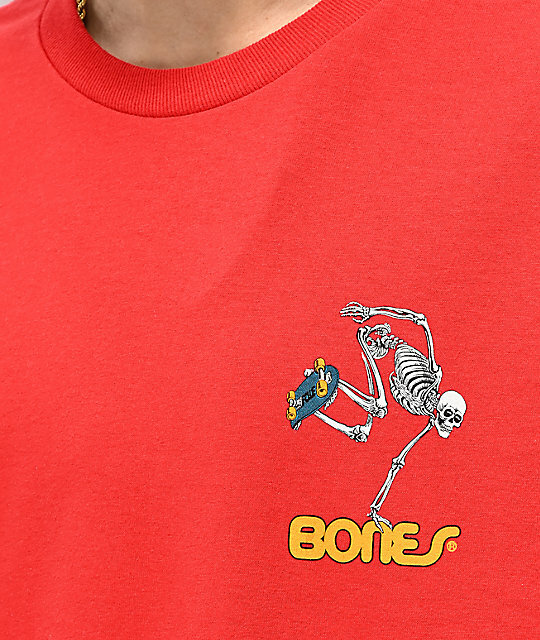 Add some color and classic skateboard-inspired style to your daily looks in the Bones Powell Peralta Skeleton Red T-Shirt. 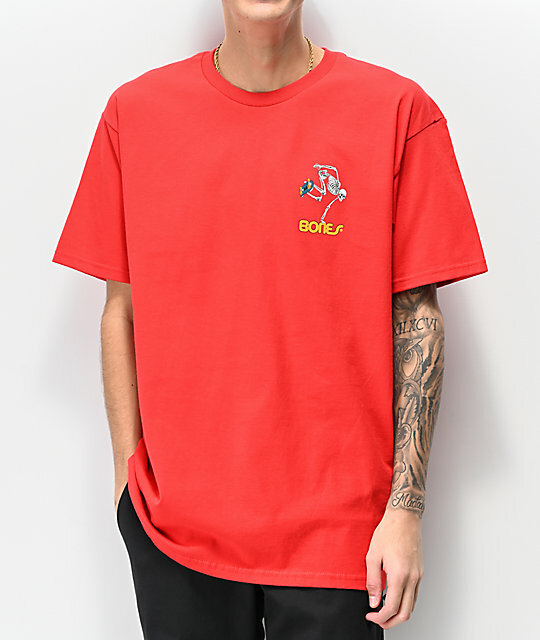 This bright red t-shirt is highlighted by screen-printed logo script in yellow at the left chest and back accompanied by the image of a skeleton doing a hand plant for a truly radical look. 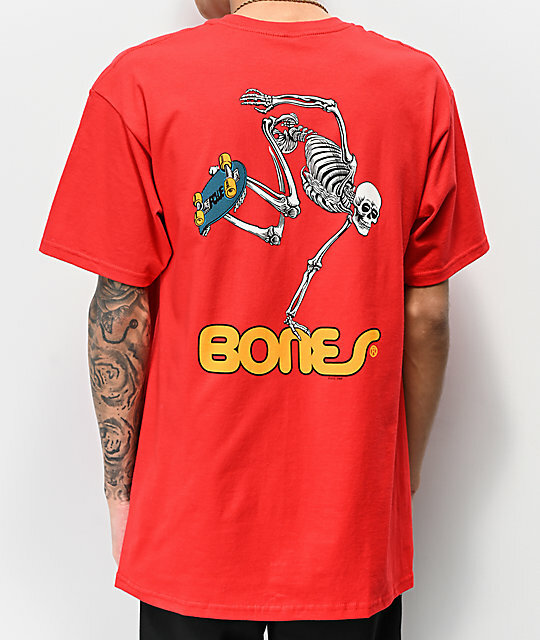 Powell Peralta Skeleton Red T-Shirt from Bones. Skeleton hand planting on Bones logo script screen-printed at the left chest and back.